Raglan Area School, Te Kura a Rohe o Whaingaroa, is situated on a peninsular between the Opotoru Channel and Kaitoki Channels on the southern side of Whaingaroa Harbour. Our mountain, Karioi, stands on our south western horizon. We are an Area School (Composite School) and provide for around 500 students aged 5 years to 19 years. 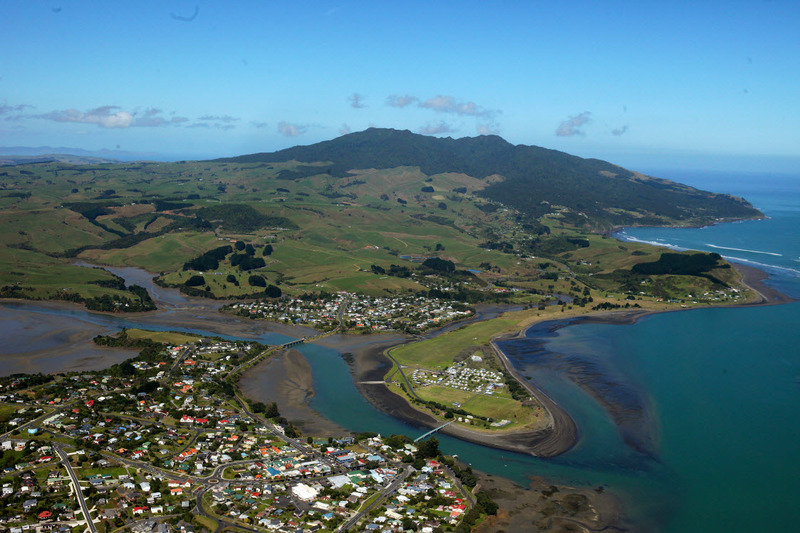 We serve a community that extends from the northern shores of Aotea Harbour in the south, to Waingaro in the North, and from our glorious West Coast across to the Karangamahanga Range in the east. Tikanga is embedded within the school and we defer to the mana whenua hapuu of Ngaati Maahanga-Hourua for cultural consultation of local traditions and include the hapuu relationships that are settled in the wider region for history, waiata, kawa and te reo. We do this as we acknowledge the lands of the Ngati Maahanga Chief, Te Awaitaia, (Wiremu William Naylor). Within the school we practice kawe-a-kura. 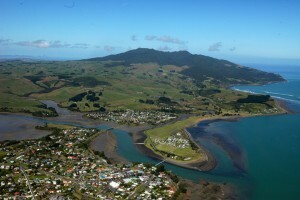 For many centuries Maori living in Whaingaroa included education as a major part of their culture and similarly on their arrival, the first European settlers valued schooling. The European community formalised the education system resulting in the first school being established here in 1866. The school was elevated to District High status in 1938. Raglan District High occupied two sites until 1963 when it was amalgamated on our current site. In 1976 the school was re-designated as an Area School, a rural school teaching Years 1 – 13. The school values the contribution of each student and aims to assist each student reach his or her academic potential in a bicultural environment. The strength and unique character of Raglan Area School, Te Kura a Rohe O Whaingaroa, results from the working partnerships between school, parents and local and Maori communities of Whaingaroa. As partners we all share a common interest – excellence in education that is suited to student needs and carried out in a safe environment. We affirm the Treaty of Waitangi and strive to reflect a bicultural perspective in consultation with our local whanau and families. Enables all students to be engaged in their learning and achieve educational success with pride in their unique identity. Responsive to and inclusive of the special needs of all students. A vibrant and growing Rumaki Unit creating living language and tikanga within Waikato-Tainui taking cognisance of local hapu and iwi. Reflecting agreed Raglan Area School values and sufficiently independent to ensure students have Te Reo immersion for at least 80% of their learning and socialisation. A high performance culture where we support and celebrate achievement across cultural, academic and sporting pursuits. A focus on staff wellbeing and performance. Strong, dynamic and innovative leadership, effective management with a clear vision for the school. All parents and whanau are actively encouraged and empowered to support students to achieve success in their learning through effective engagement and communication. Effective organisation of school processes, events and communications, digitally integrated with appropriate technologies..
A Board of Trustees that clearly articulates the school vision and policies, is transparent and responsive, reviews its own performance and continues to develop strong partnerships. A beautiful, cared for environment that students, parents,whanau, and community are proud of. Innovative thinking to identify funding opportunities to assist in achieving our strategic aime to deliver the highest outcomes for all students. Read more about our Strategic Objectives and our Annual Targets in our RAS 2018 Charter.